Vaughen's Lounge is located in the Bywater area of New Orleans. I painted this from a reference photo I found online. It took me around two hours to complete. I like the cartoonish aspects of the piece (ie. the poles on the right) and the red-orange rust of the tin roof. Upon further consideration, I think I prefer paintings like this---paintings of real places rendered in an interesting style---paintings that evoke a memory of a place in time. See painting process video below. I left the painting raw and unrefined, capturing (hopefully) the movement and energy of the city. I have nothing else to say about it really---it was a quick painting and I like the results. Find, please, the link to the painting video down below! Click here to see the painting process on YouTube! 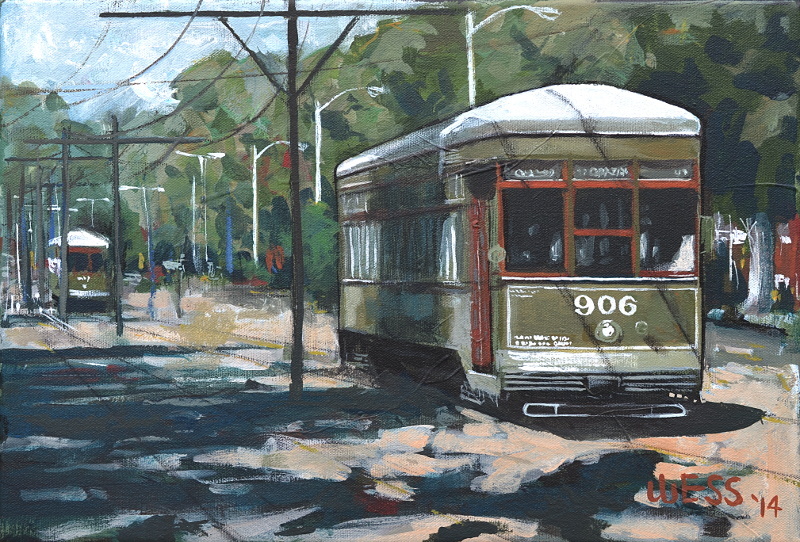 As the title suggests, this is [at least] my sixteenth streetcar painting. 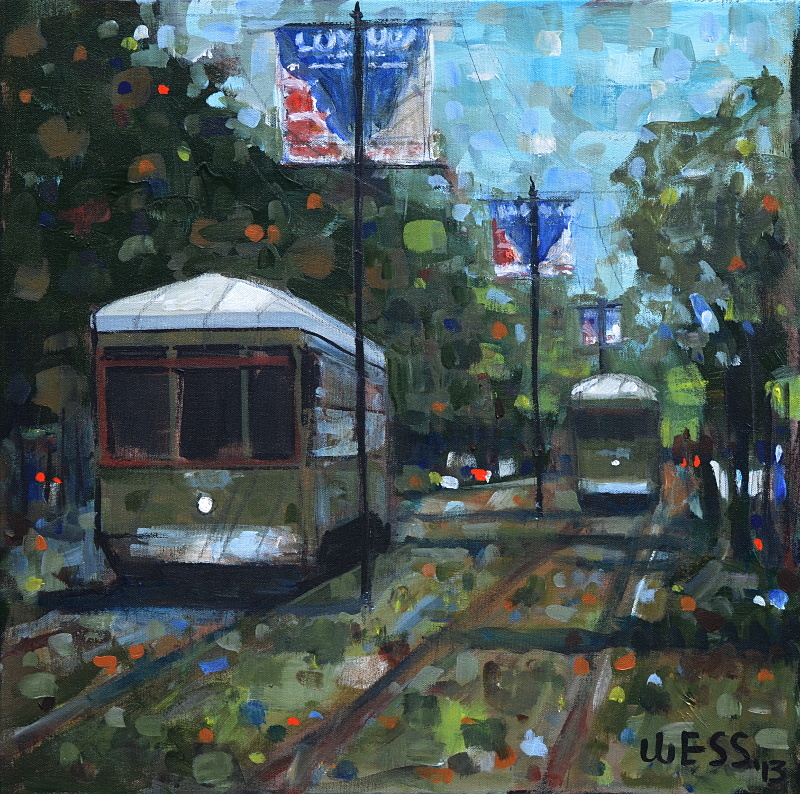 I switch things up from time to time---different point-of-views, different painting styles, etc---but I usually always have at least one streetcar on hand. This is one of the smaller variety. Also a little more "tight," stylistically.